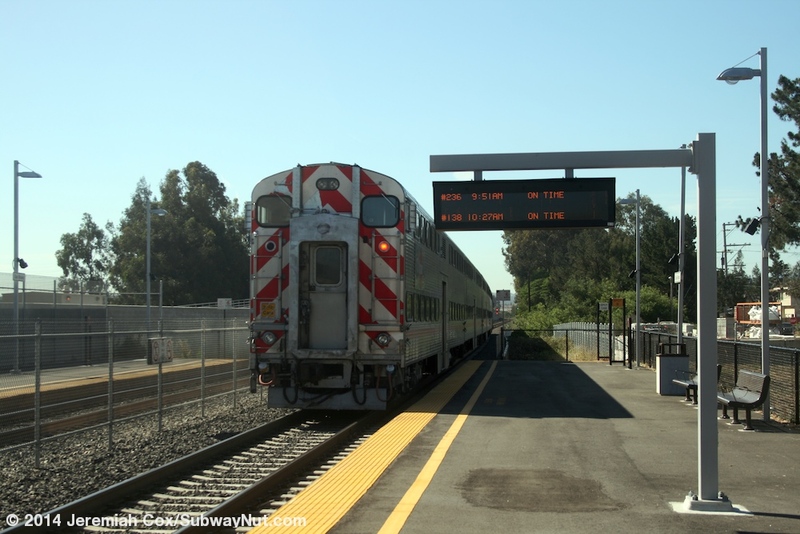 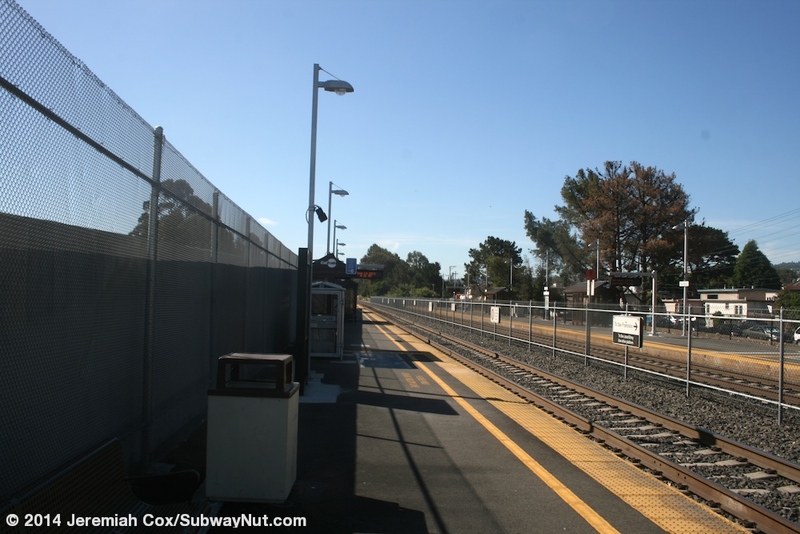 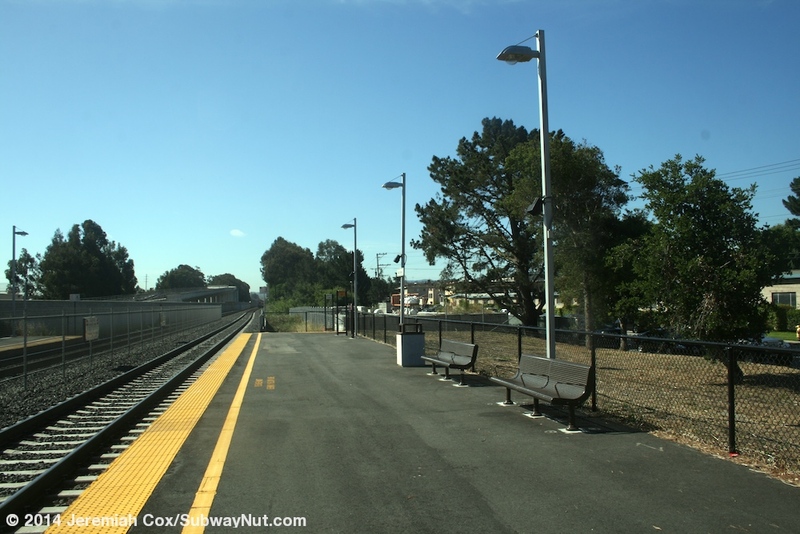 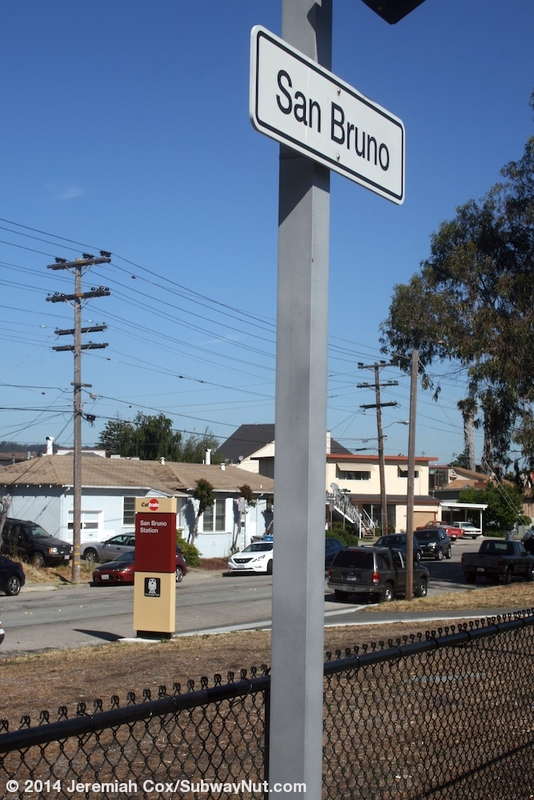 San Bruno is a Caltrain Station under construction as part of a grade-separation project through downtown San Bruno and has been at three different locations over the course of the pass decade in a half. 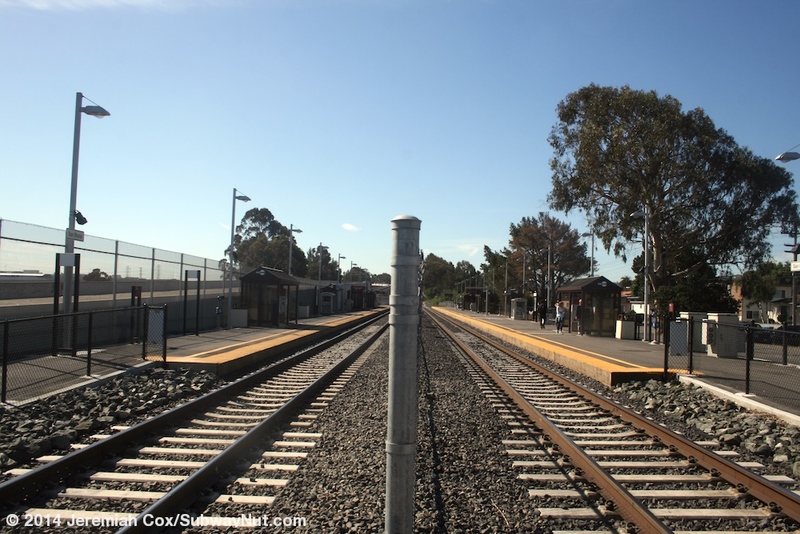 Historically (since about 1962) the station was along Huntington Avenue near Sylvan Avenue, about a block north of today's station with access from both Huntington Avenue and 1 Avenue via pedestrian grade crossings at each end of the two platforms side platforms for the two-track line. 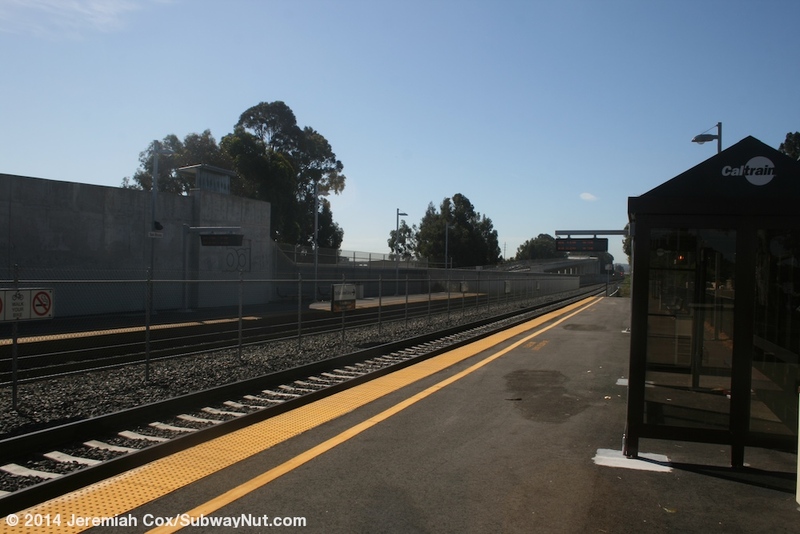 The grade-separation project that began in November 2010 resulted in the station moving to its current temporary location about a block south of the temporary location. 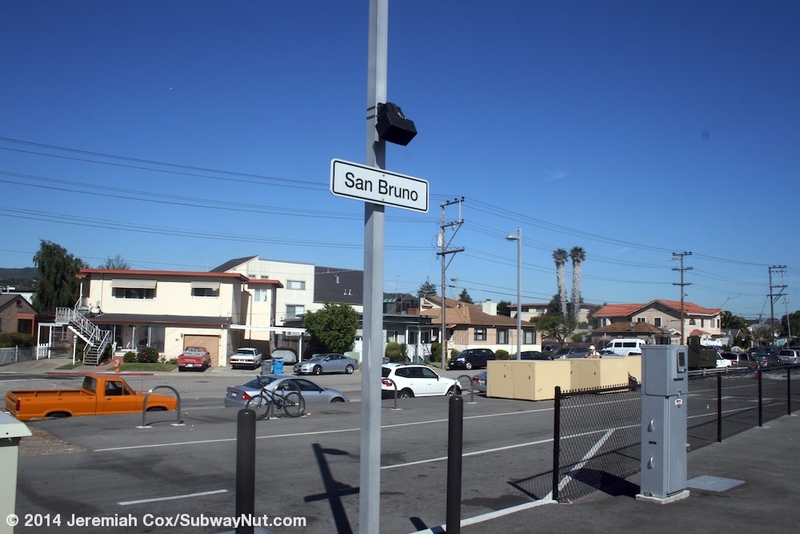 The current location is just south of the beginning of the new, elevated guide-way that will take trains over the streets of San Bruno. 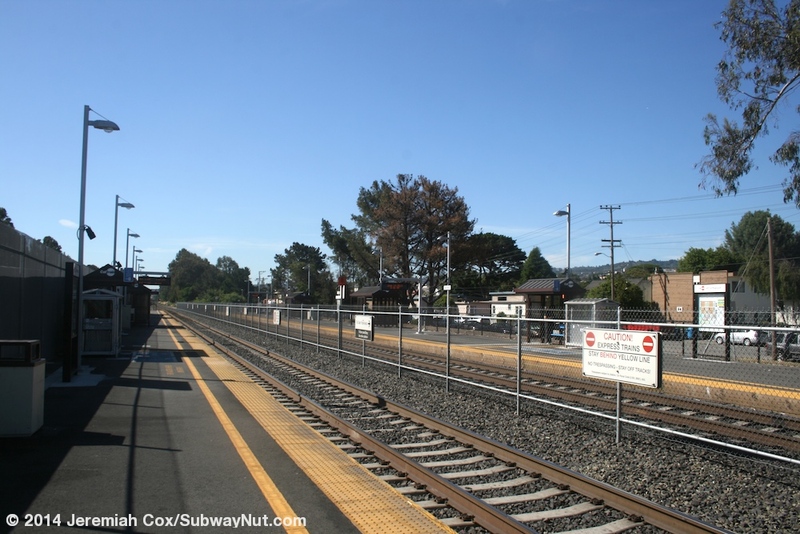 During construction trains use temporary tracks (with grade-crossings) just east of the regular tracks that are now under construction. 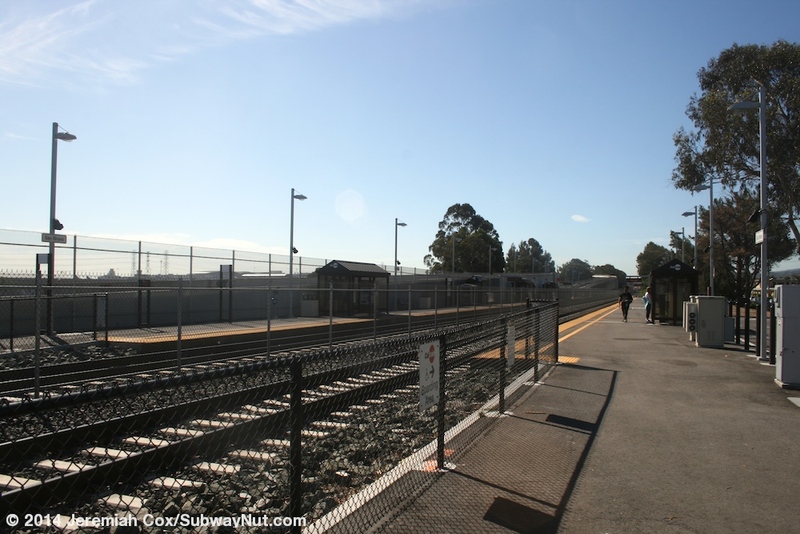 Along the platforms is the tunnel portal of BART, just south of the station is the wye off the main line BART line to Millbrae that leads to the stub-tracks into the San Francisco Airport. 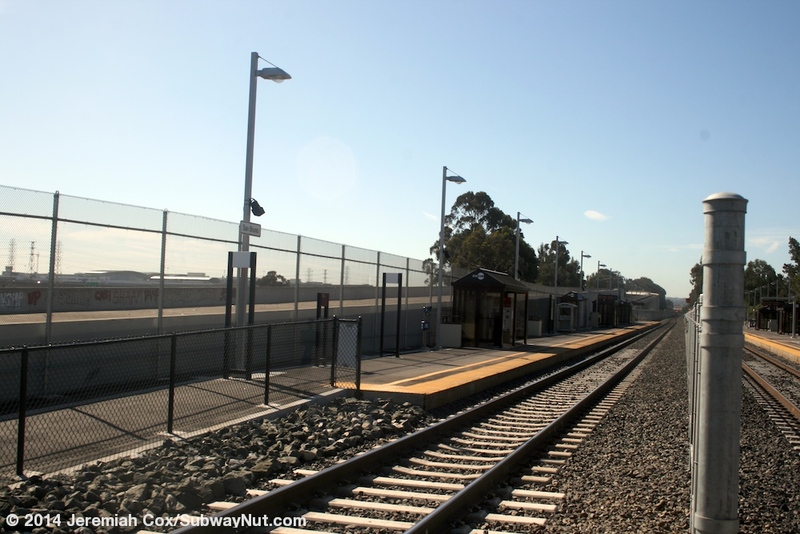 BART trains going up on the wye heading to the Airport are clearly visible while trains going to Milbrae are much less, blocked by a concrete wall that becomes just fencing between the two railway lines farther south of the station. 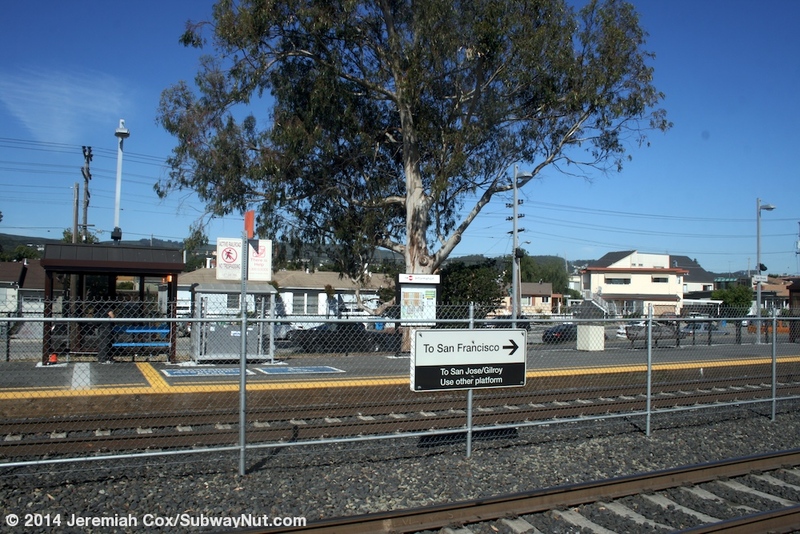 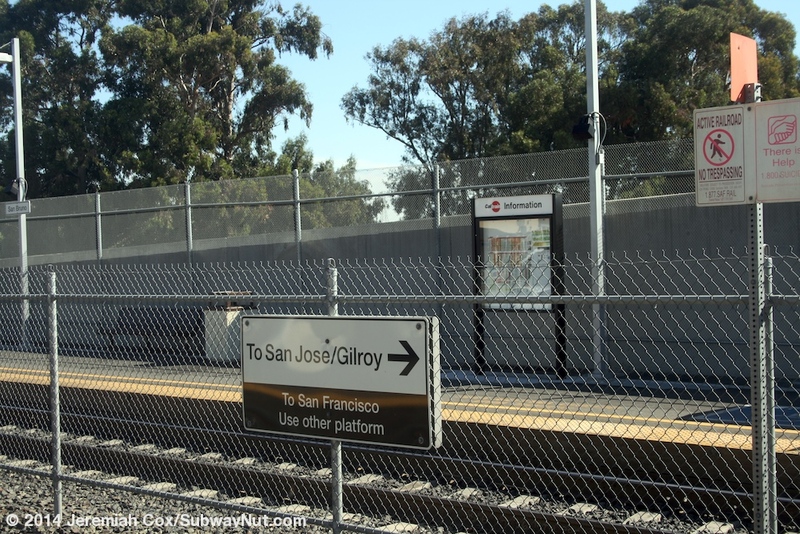 Once the new grade-separated route opens through San Bruno in the Spring of 2014 a new elevated Caltrain will be opened about three-quarters of a mile north of today's station and just half-a mile south of the San Bruno BART Station. 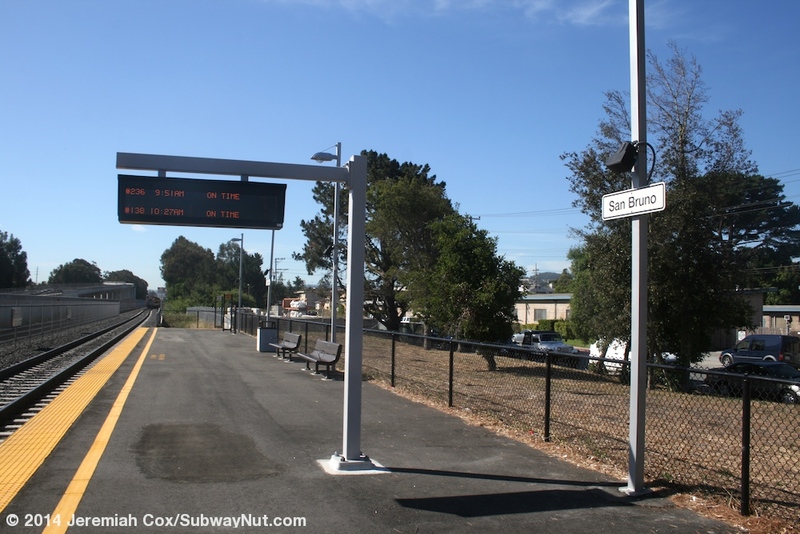 The current station has two simple side platforms with tactile warning strips and modern silvery lampposts for the two-track line. 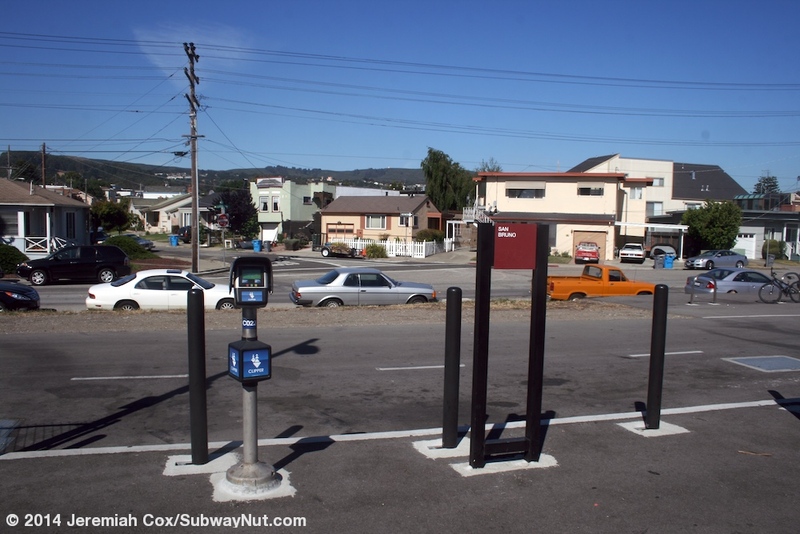 They are connected by a pedestrian crossing only at their northern ends. 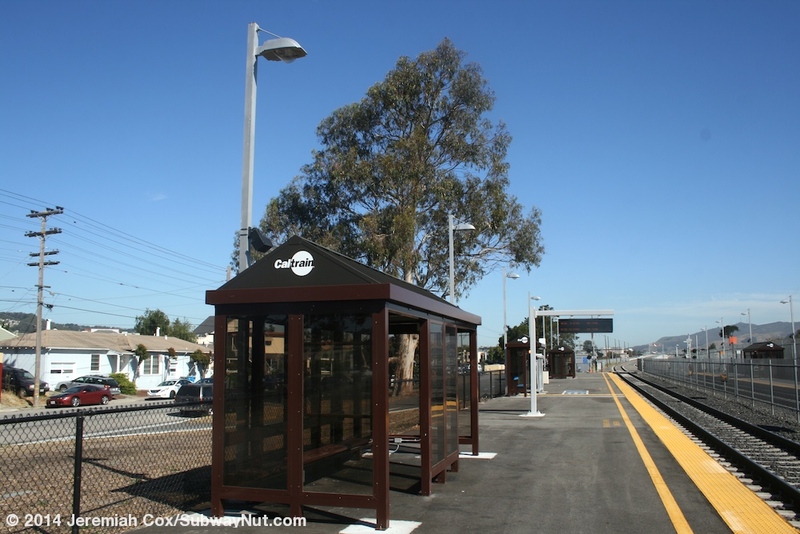 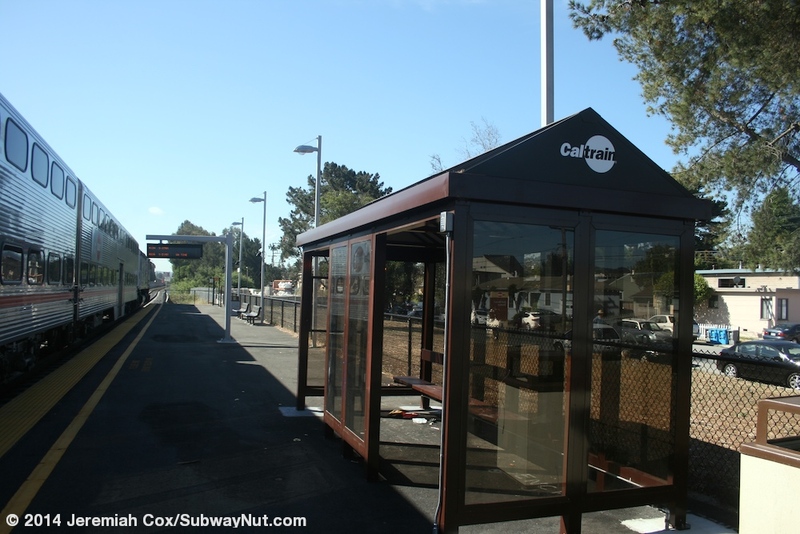 Amenities for waiting passengers are a number of light brown bus stop style shelters on each platform. 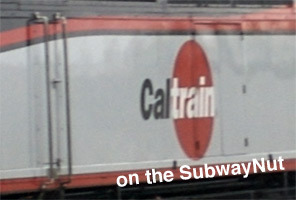 Signage is the extremely modern white text signs. 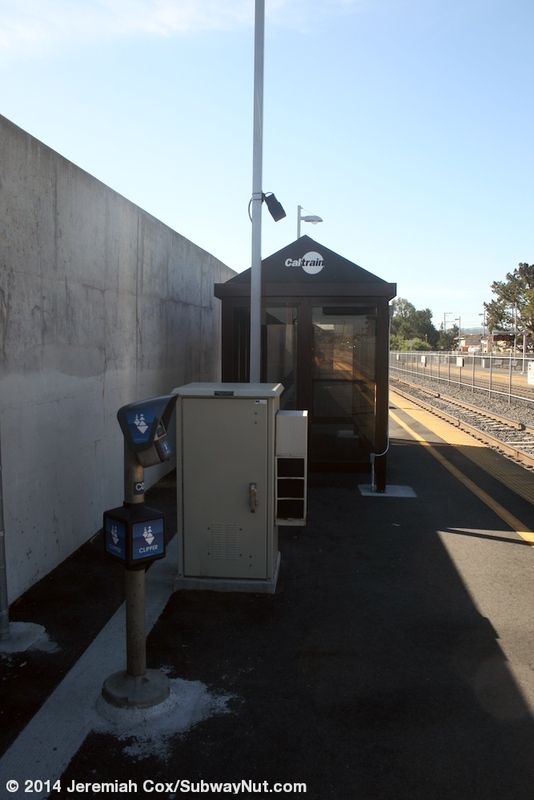 Most access to the station is along the San Jose-bound platform with a small driveway off of Huntington Avenue across from the end of Georgia Avenue. 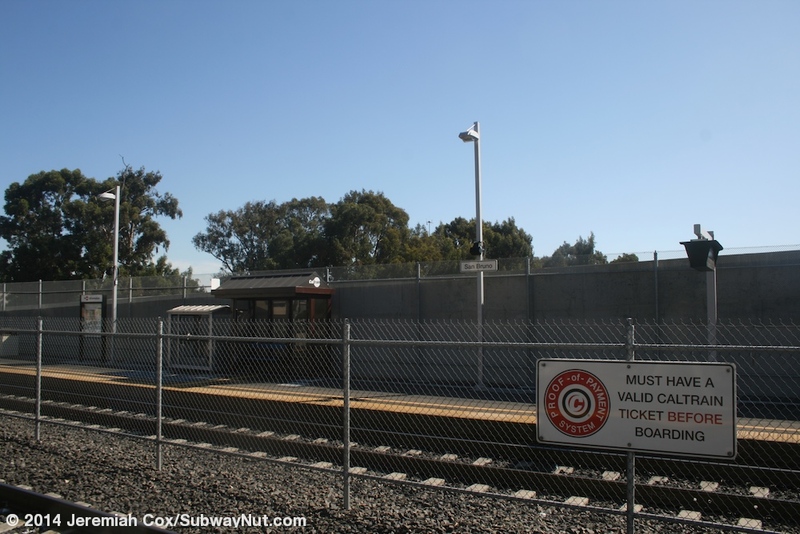 A parking lot (Caltrain claims 171 parking spaces, but this number seems high and could be pre-construction) is between Huntington Avenue and the tracks north of the station platforms. 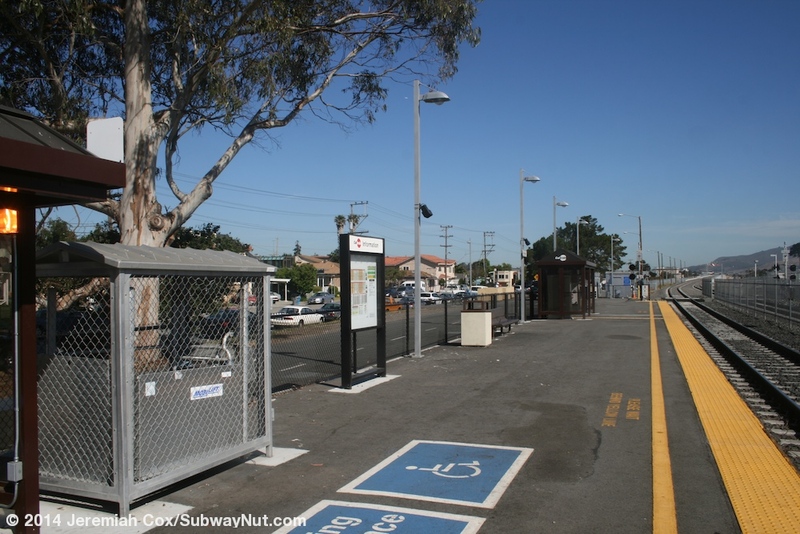 The parking lot has temporary looking lampposts on wooden telephone poles. 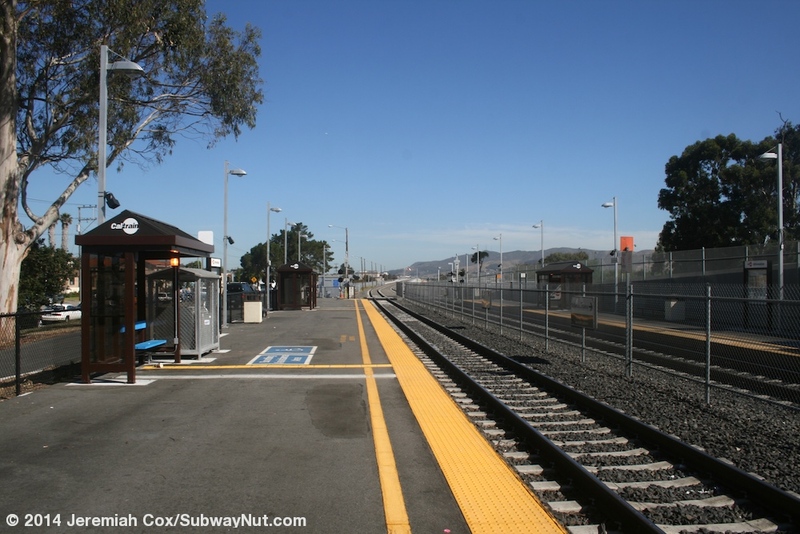 A second entrance is a pedestrian walkway leading from northern end of the San Francisco-bound platform to 1 Avenue on the opposite side of the tracks.